Coin collecting is the kind of hobby that appeals to many different people. It combines an appreciation for art, history, geography, and economics, all of which are embodied in precious metal coins you can hold in your hands. Coin collecting is one of the oldest hobbies in the world, since the first coins were ever minted. The earliest coin collections were hoards of gold and silver coins kept as wealth and they’ve been in existence since coins were first used as currency. But the practice of collecting coins for their artistic or historical value likely began in Ancient Rome and medieval Mesopotamia. Both state treasuries and scholars collected and catalogued coins, giving birth to the science of numismatics. Emperor Augustus of Rome would also present old or exotic coins as gifts to friends and dignitaries. Contemporary coin collecting likewise began in Italy, where it was a fad amongst Renaissance nobles and rulers. Coin collectors look for a number of factors in coins including composition, finish, mintage, and design. These factors can all play into a coin’s value, not to mention its age. For the novice collector, buying rare coins from other collectors can be a risky business. There’s a whole language to coins that you need to learn. A great place to start is with a gold and silver dealer. 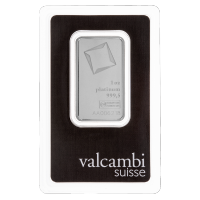 As bullion coin sellers, the majority of our inventory consists of contemporary bullion coins and collectible coins. These include gold and silver coins made by the world’s major mints and issued in the last few years, such as the Canadian Silver Maple Leaf, American Silver Eagle, Chinese Silver Panda, Perth Mint Silver Coins, Austrian Silver Philharmonics, British Silver Coins, and Mexican Silver Libertads. 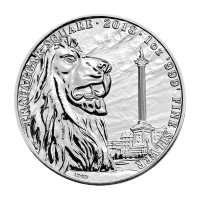 You can also find a wide range of commemorative coins produced by mints, such as the RCM’s Wildlife series, colourized silver coins, and silver rounds made by private refineries featuring unique artistry. Gold and silver bullion coins are a great way to start collecting coins because their value is largely in their gold and silver content, rather than their numismatic value. As you learn more about numismatics, you can comfortably move into buying rarer coins, but fine gold and silver bullion coins will always be valuable. That’s why both coin collectors and investors buy gold and silver coins from us. It’s not just gold and silver investors who shop for gold coins at Silver Gold Bull. The inventory you can find on our website also has many great options for coin collectors, whether you’re looking for gold, silver, platinum, or palladium. 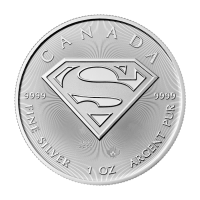 Canadian coin collectors can also easily start by looking at bullion coins and collectible coins available with Silver Gold Bull. Before you start, you need to learn the language of numismatics. Below are the four main qualities of coins you’re likely to encounter when you start your coin collection. 9999 (also written as .9999 or 99.99%) gold. 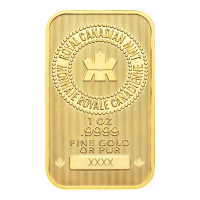 Many gold products from the Royal Canadian Mint have an impressive 9999 purity. One of the world’s most popular gold coins, the American Gold Eagle coin, is actually only 9167 gold, but because of the lower purity, it’s a heavier coin that still contains 1 ounce of gold. Many other gold coins in the world are 999 purity, making Royal Canadian Mint gold coins unique and highly prized. The millesimal system is a much more accurate way of determining purity for coins, but you may also encounter karats. Anything about 9995 gold would be considered 24 karat, while the American Gold Eagle is 22 karats. 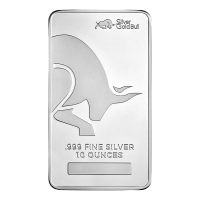 The inventory you find at Silver Gold Bull is particularly geared toward gold bullion coins. You can find Canadian Gold Maple Leaf coins, American Gold Eagle coins, and high purity gold coins from around the world. Proof: The coin has been struck at least twice with a frost relief on a brilliant field. Reverse proof: A reflective surface over a frosted or matte field. The face value of a bullion coin is usually not nearly as important as the numismatic value or the value of its precious metals contents. 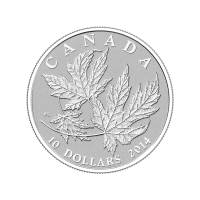 However, silver and gold coins from the Royal Canadian Mint are given face values as legal currency. 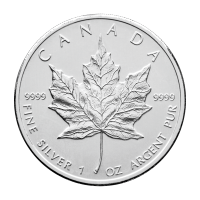 If you buy silver bullion coins, you pay for the silver, not the face value. But the same goes when you turn around and sell it. As you become more ambitious about collecting rare coins, numismatic value will also be a major part of how valuable a coin is. Mintage simply refers to how many coins the mint has produced that year. This will affect rarity in the future. However, a low mintage coin will not necessarily be more valuable in the future. Collectors will have to want it for it become more valuable. For example, a 2016 Royal Canadian Mint gold coin likely won’t likely have any extra value beyond the price of gold, but a 1967 Gold Krugerrand from South Africa (the first gold bullion coin sold to investors) commands a hefty premium because of its unique history. Now that you’re familiar with some of the terms of coin collecting, you’re ready to start your own. Collecting coins is intellectually engaging, a fun challenge, and educational. When you learn about coins from different eras and parts of the world, you learn about the rise and fall of empires, political dynasties, and changing economic polices across the globe. A savvy coin collector can make money from their practice, but for most passionate coin collectors, they would much rather hold onto their collections and pass them onto their kids. Coin collecting is a hobby that can last generations.